Contracting is hard work so keeping a valid recent experience record should not be a task in it self. Easily Record All Your Recent Experience. The recent experience entry feature is in full compliance with EASA 66.A.20 Privileges. Simply type in your experience and save into the system. You can come back and edit your entries if needed. The system will learn what aircrafts you work on the most and auto populate frequently used aircraft. The recent experience entry feature is in full compliance with EASA 66.A.20 Privileges. Simply type in your experience and save into the system. You can come back and edit your entries if needed. The system will learn what aircrafts you work on the most and auto populate frequently used aircraft. Quickly and Clearly See Your Current Status. Our dashboard will give you an overview of your categories status. 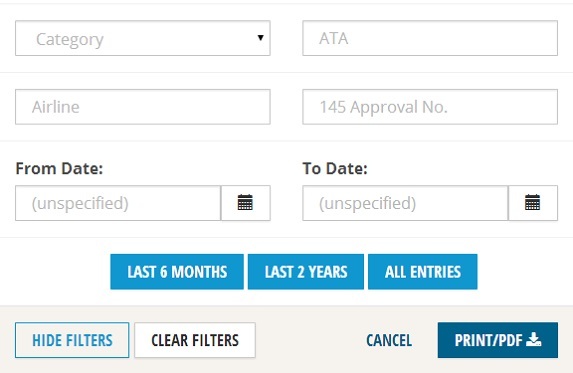 It shows you how many days of experience you need to log to comply with EASA regulations. This is separated by aircraft type ratings so you know where you are in comply with regulations and where you need to improve. 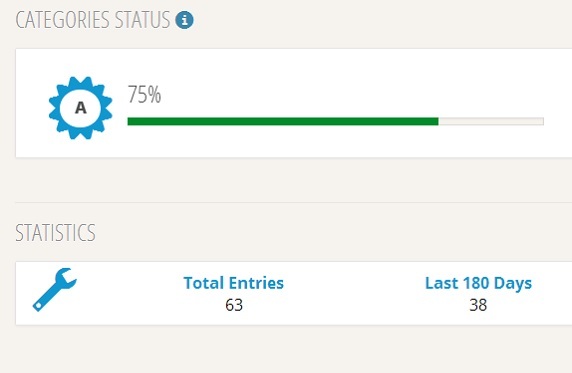 The Dashboard also gives you a simple and elegant view of how many entries you have completed last 60/180 days and total. Manage and Keep Your Personal Profile Ready. 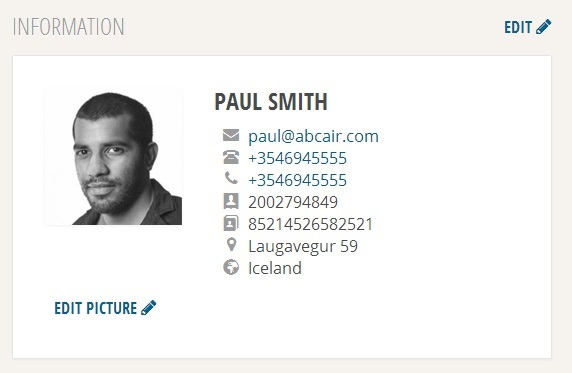 Your profile is essential to your records and reports. We make it easy and simple to keep it up to date with all your critical aviation related information. You can even add your Part-66 Aircraft type ratings. 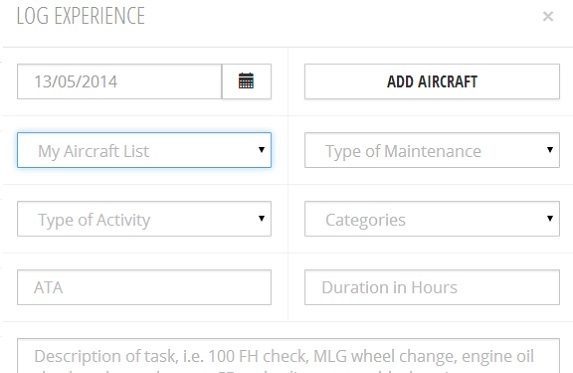 You also have a detailed list of all the Aircrafts you have worked on. Report All Your Experience or Requirements. Our reporting feature is essential to the modern aviation technician and, now you can simply include procedure reports for recent experience, continuous requirements status &schedule when needed with no hassle, and get it ready within minutes for future employers or aviation authorities.